Discover the masterpieces of Rome in one day on this tour of the Vatican Museums, Sistine Chapel, St. Peter's Basilica & the Colosseum area. Skip-the-line with your local guide and save precious time while you're in Rome for a true insider's view of all that the city has to offer. No trip to Rome is complete without a visit to the Vatican Museums. Home to 54 different galleries including four statue museums: Museo Pio-Clementino, Museo Chiaramonti, Museo Gregoriano Etrusco and the Museo Gregoriano Egiziano. These museums are home to some of the most famous works of art in the world, with artists including: Leonardo Da Vinci, Michelangelo, Caravaggio, Raphael, and Giotto, to name a few. An experience that is sure to inspire the art lover in anyone. Take a tasty stop after the visit of the Vatican Museums in a typical restaurant for a 3-course meal before heading to the Colosseum Area. One of the most popular and amazing buildings in the entire world. Access the Colosseum with no line and be ready to enter into the legend. 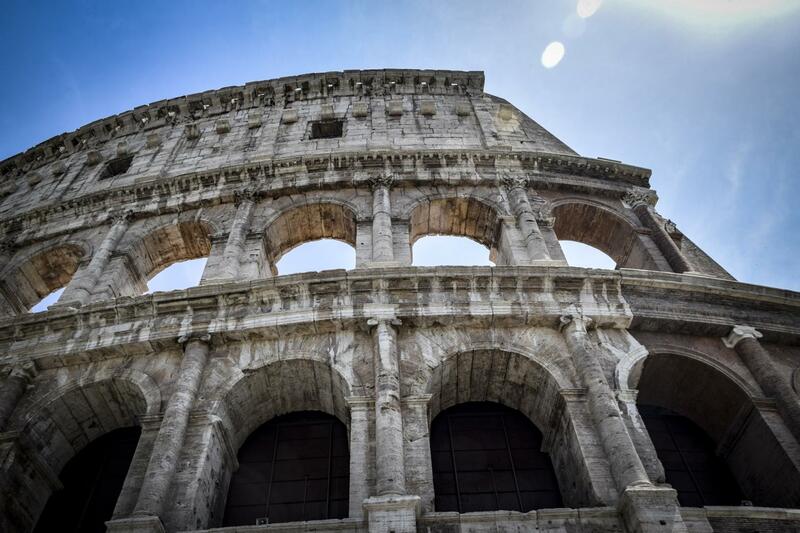 Learn about architecture and history of this massive amphitheater which hosted ancient Romans, Senators, Emperors, and Gladiators as well as animals from all over the world. You'll finally have the opportunity to visit the Palatine Hill, the place of foundation of Rome and the Roman Forum from the inside. We took the 9 hour tour and, honestly, it was a bit much. For the Vatican tour we had (Nona) Roberta and she was fantastic! Super knowledgable, very fast and knew how to navigate a crowd. Lunch was great. Then we had a seperate guide for the Colosseum and he was less than fantastic. He didn't really know where to take us, and although he had some info about the colosseum he walked us around a bit longer than necessary. Then he took us to the ruins and it really stated to drag on. It was supposed to be over at 5:30 - we finally handed in our headsets at 5:50 and who knows how much longer it went! In short, I think it should have probably been a 7 hour tour, not 9. That said those 7 hours were fantastic! I would definitely recommend. David was my tour guide for the Vatican and he was awesome. VERY knowledgeable and did a great job keeping the tour informative but not boring. Great personality, nice and funny. Massimo was my tour guide for Colleseum and he was equally as great. They know so many interesting facts. English was great and easy to understand. Bypassed all the lines and would do the tour again alone just for that. Great experience! Thanks for the review! We love hearing about our awesome tour guides and when they give customers a great experience. We hope the rest of your stay in Rome was just as great! Very knowledgeable guides who were fun to be around. BOOK BOOK BOOK!This tour was one of our holiday highlights. Both tour guides Frederico C (The Vatican) and Silvia Sarli (Colosseum) were great. Their in depth knowledge and friendly personalities made the experience fun. I can highly recommend this tour!Thank-you Gray Line Rome, Frederico C and Silvia Sarli.